The Mass Effect 3 ending—one of the year's biggest video game controversies—will be getting more content when the Mass Effect 3 Extended Cut DLC hits next week. 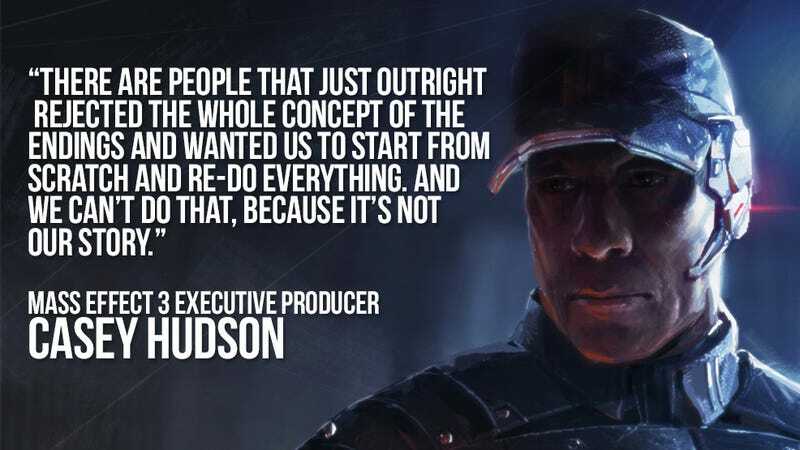 But, with all the fan outrage and protests that have come and gone, that series' executive producer apparently knows that it's not going to make everyone happy. The interview where Hudson makes these remarks and explains how BioWare reacted to fan feedback is here.